Gabriele Rausse, director of gardens and grounds at Monticello, first grafted Jefferson’s 1807 wine varietals for Monticello in 1984. Eleven years later, he joined the staff as assistant director of gardens and grounds. Rausse, a native of Vicenza, Italy, graduated with a degree in agricultural science from Milan University. He worked first for the Tenuta Santa Margherita winery outside Venice and in 1976 was invited to Virginia to begin what is now Barboursville Vineyards. Rausse, “the father of Virginia wine,” has helped start more than 40 vineyards and 10 Virginia wineries. 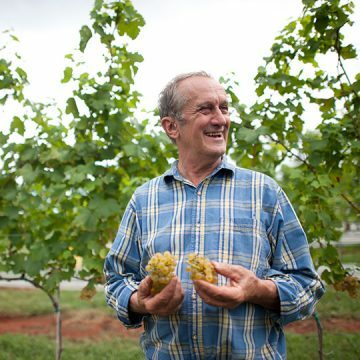 He was nominated as the Virginia wine industry’s Man of the Year in 1996.